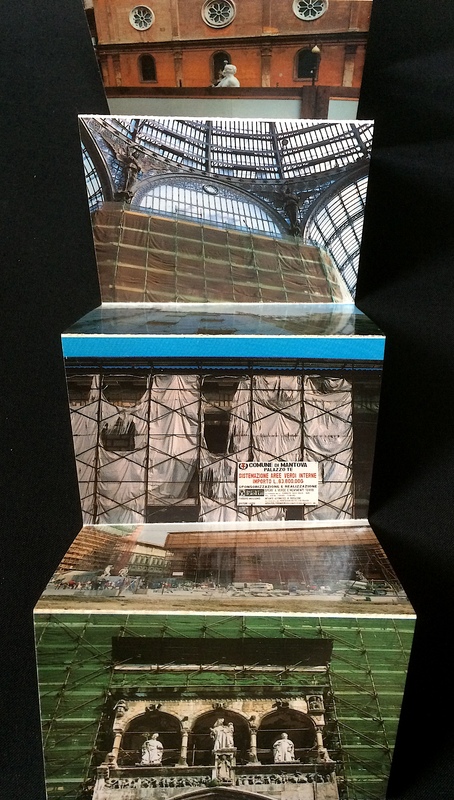 Dis cover Italian Monuments is a facsimile of a fold-out postcard book for tourists. But the tourists might be disappointed this time. Or they might be empathetic, especially if they have recently returned from Europe, as each monument is masqueraded with scaffolding, which obscures large portions of the architecture from view. Printed on the flip side of the color reproductions are the names of the twelve monuments in Italian, as well as a handwritten text in English describing the monuments’ temporary, alter egos. “Bernini takes a bath,” “Michelangelo censored,” and “DisneyMiland” nickname the monuments in their transitional states, which may last anywhere from one to six years. 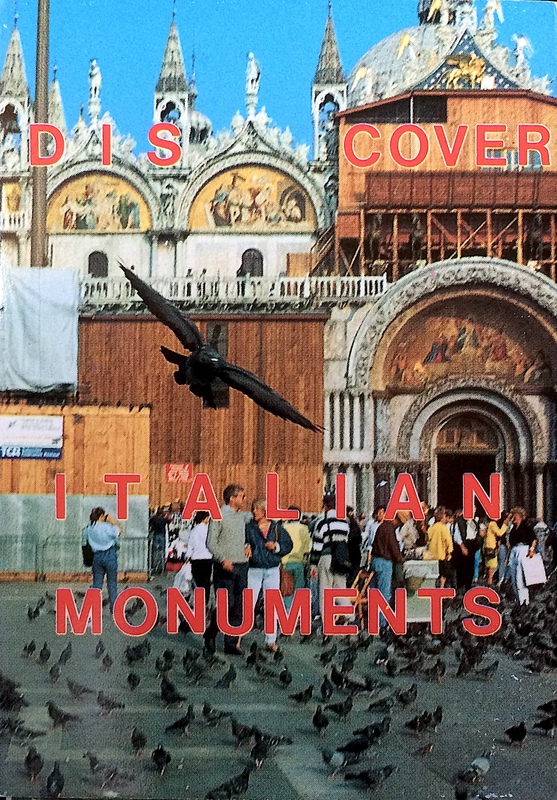 Dis cover Italian Monuments is more than a plea or a play on words. It’s a reality. This is an artist book. It was made in Bologna, Italy in the end of 1989. 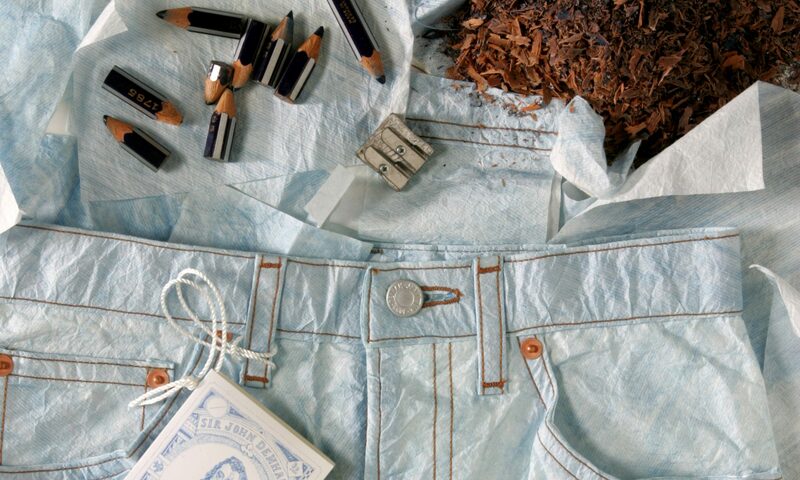 Artist books are handmade, one-of-a-kind books or are published, usually in small editions. This is an edition of 3,000 out of which 300 are numbered and signed. Questo è un libro d’artista. È stato fatto a Bologna, in Italia, alla fine del 1989. I libri d’artista sono unici, fatti a mano, o sono pubblicati, abitualmente in piccole edizioni. Questa è un’edizione di 3,000 copie delle quali 300 sono numerate e firmate.